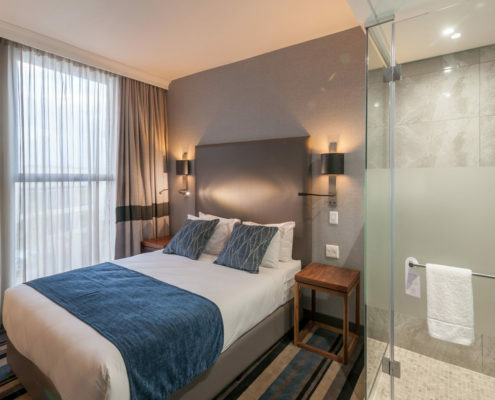 THE opening of a new hotel in Mthatha is expected to create employment, improve tourism in the area and attract national soccer games, as it is situated very close to the city`s stadium. 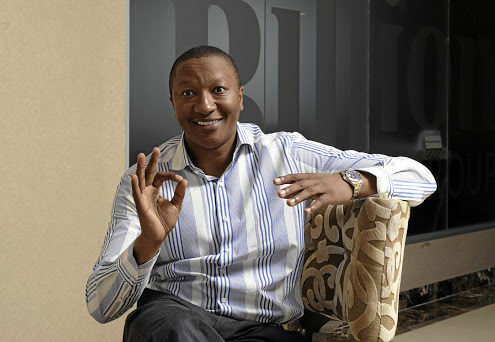 The Mayfair Hotel, owned by business mogul Sisa Ngebulana, is also adjacent to BT Ngebs City regional mall. King Sabata Dalindyebo (KSD) municipality spokesperson Sonwabo Mampoza expressed gratitude towards the hotel and the opportunities it would open for Mthatha. The municipality appreciates this initiative because it is going to create employment for the people of Mthatha. It will also be good to accommodate people visiting Mthatha as tourists,` Mapoza said. He said that the hotel was close to the stadium and it would accommodate soccer players who have their games there. Mampoza said investors would invest in other parts of Mthatha now and this would count towards its development. “We can look forward to problems of water, electricity and roads being resolved because this new establishment will be surrounded by good infra- structure,” he said. Eastern Cape Premier Phumulo Masualle honoured the invitation to come witness the significant milestone. 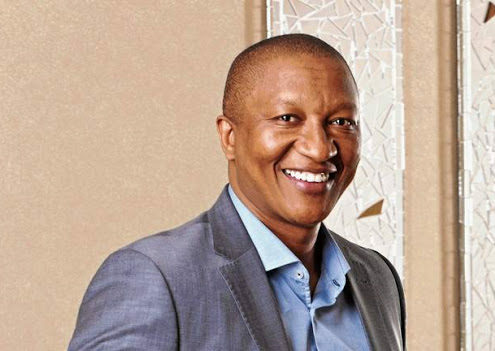 “Ngebulana is not just a role model and inspiration to black South Africans, but all South Africans, who should emulate him by taking bold entrepreneurial risks such as he has,” Masualle said. 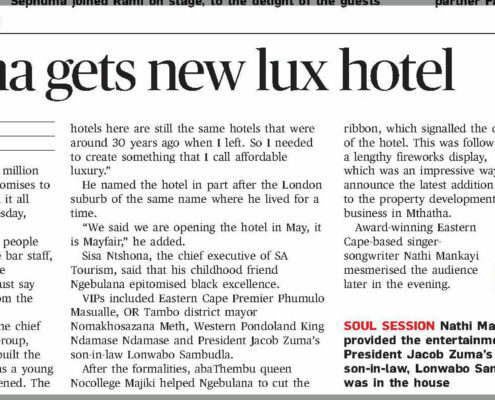 Ngebulana said that this new hotel is “affordable luxury”. “It has a three-star rating with a five- star experience, which can definitely be seen with features such as a porter for luggage and concierge for arrangements and intimate treatment”. 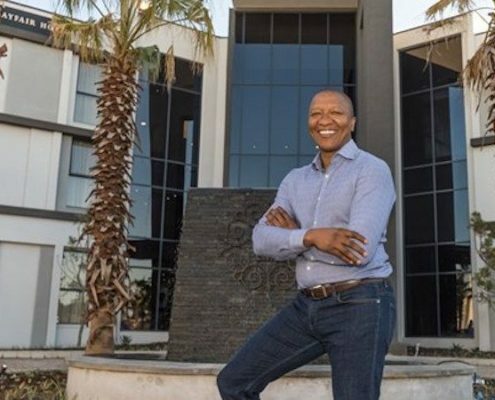 The Billion Group‘s portfolio in Eastern Cape consists of Mdantsane City Mall, Hemingways Mall in East London and BT Ngebs Mall in Mthatha. a fireplace for those chilly winter days. It is the perfect setting to socialise or simply unwind. Guests will also be able to enjoy sumptuous meals at the stylish in-house restaurant. Whether it is starting their day with a full buffet breakfast, indulging in light lunches or a delicious dinner, there is something for everyone. provinces@thenewage.co.za and a separate boardroom for ad hoc meetings is also available. With the convenient BT Ngebs City on their doorstep, guests can enjoy a host of retail shops, as well as dining and entertainment options. The central location means commuting to the airport with ease. 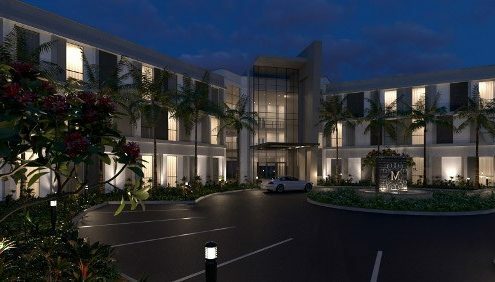 Guests will be able to relax in a spacious and trendy bar lounge, including around R400m. Whether one is looking to host a business meeting, workshop or private event, the hotel offers the ideal venue. The state-of-the-art facilities are well equipped and can accommodate up to 120 delegates. Standard equipment includes a data projector, flip chart and notepads. A tea and coffee making station is provided. https://mayfairhotel.co.za/wp-content/uploads/2017/07/20170607-newage.jpg 1632 1920 mh_admin https://res.cloudinary.com/kemoso/image/upload/v1512698527/Mayfair%20Hotel/horizontal-logo-brown.svg mh_admin2017-06-07 08:27:462017-07-16 19:56:42"New hotel opened in Mthatha"
https://mayfairhotel.co.za/wp-content/uploads/2017/07/Mayfair-Hotel-Sisa_690x450_crop_80.jpg 450 690 mh_admin https://res.cloudinary.com/kemoso/image/upload/v1512698527/Mayfair%20Hotel/horizontal-logo-brown.svg mh_admin2017-06-04 19:17:362017-07-16 19:42:34"Inside Sisa Ngebulana's new luxury hotel in Mthatha"
https://mayfairhotel.co.za/wp-content/uploads/2017/07/unnamed-1.jpg 351 512 mh_admin https://res.cloudinary.com/kemoso/image/upload/v1512698527/Mayfair%20Hotel/horizontal-logo-brown.svg mh_admin2017-06-02 19:59:572017-07-16 20:13:33"Property mogul opens new three star hotel in Mthatha"
https://mayfairhotel.co.za/wp-content/uploads/2017/07/Standard-Room.jpg 932 1400 mh_admin https://res.cloudinary.com/kemoso/image/upload/v1512698527/Mayfair%20Hotel/horizontal-logo-brown.svg mh_admin2017-06-02 19:47:502017-08-17 20:28:56"Billion Group opens four-star Mthatha hotel"
https://mayfairhotel.co.za/wp-content/uploads/2017/06/unnamed.jpg 342 512 mh_admin https://res.cloudinary.com/kemoso/image/upload/v1512698527/Mayfair%20Hotel/horizontal-logo-brown.svg mh_admin2017-06-02 19:31:092017-07-16 19:47:01"Founder of Billion Group builds R130m hotel in Mthatha"